Being a health fund member gives you an edge among the rest. Hence, there is no time to waste if you are overdue for a dental clean and examination. A lot of dental insurance funds provide no-gap cleaning once or twice a year. On the other hand, your benefits do not roll over into the next year; thus your benefits are worthless if you do not use them wisely. 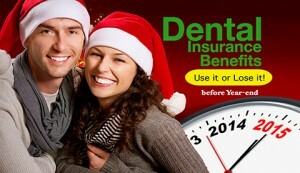 Here at Bondi Dental, we give you five reasons why using your dental insurance before the year will end is essential. Checkup appointment covers free X-rays and an inspection to check for cavities, gum disease, oral cancer and other dental problems in most dental plans. Your refund also includes a scale and clean in removing plaque and tartar. Afterwards, an expert fluoride treatment to help avoid tooth decay will be included as well. Before the New Year, you can depend on your benefits if your Bondi dentist discovers a problem and require you to undergo treatments like fillings and crown placement. If the dental health issue needs long-term maintenance or multiple procedures, you may still utilise some of current year’s benefits through doing part of the medication now and finishing the process later by means of next year’s health fund allocations. Through using dental insurance, you can help yourself save a significant amount of money for various dental and oral procedures. Instead of delaying your dental checkup and treatment, take advantage of your dental benefits to prevent any upcoming oral health issue.Your dental care partners here at Bondi Dental, along with our welcoming staff, are happy to work with you into the schedule to the end of December so you can gain maximum rebates and beautiful, healthy smiles in 2014. The year-end is fast approaching, and you need to act now. Visit our dental clinic right away so you can maximise your health fund for this year. Here at Bondi Dental, we can provide you outstanding dental and oral care for you to have splendid smiles that does not only last for a year, but also for a lifetime.